In October 1935, Edward Jamieson's memories of war and a passionate love affair resurface when an invitation to a World War I memorial ceremony arrives. Though reluctant to visit the scenes of horror he has spent years trying to forget, Edward succumbs to the unlikely possibility of discovering what happened to Helene Noisette, the woman he once pledged to marry. Traveling through the French countryside with his wife, Ann, Edward sees nothing but reminders of war. After a chance encounter with Helene at the dedication ceremony, Edward's past puts his present life in jeopardy. When World War II erupts a few years later, Edward is quickly caught up in the world of training espionage agents, while Ann counsels grieving women and copes with the daily threats facing those she loves. And once again, secrets and war threaten the bonds of marriage. 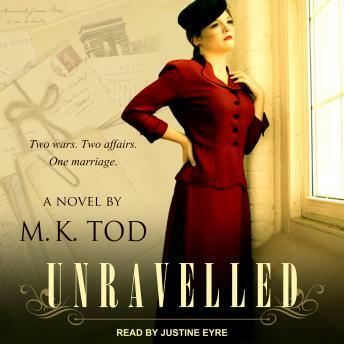 With events unfolding in France, England, and Canada, Unravelled is a compelling novel of love, duty, and sacrifice set amongst the turmoil of two world wars.